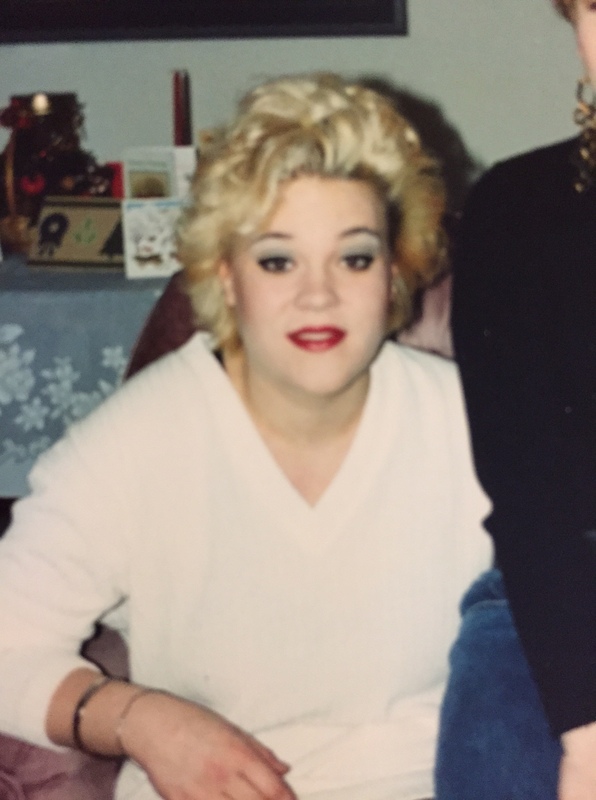 At 20 years old, I lost 80 lbs without trying, but I was clearly trying pretty hard in other areas. When I was 20, I dropped out of University, and moved in with three gay guys (the fact they were gay is relevant to relieve you of the notion I was a complete floozy). We had fun. We had a lot of fun. In fact, with my share of the rent coming in at $162.50/month, no car and no responsibilities, I spent most of my time having fun. Dancing, performing, playing games, hanging with friends, staying up all night and sleeping all day. I also lost 80 lbs without trying. It was, quite possibly, the best time of my life. Yet, one night in the dead of winter, I found myself wandering around an abandoned parking lot with my parka over my pajamas sobbing. Trudging through the snow, around and around, I was overtaken by grief, hopelessness and despair – and I couldn’t figure out why. Convinced I had lost my mind, I feared the police would cart me off to the loony bin and found my way home. Shortly thereafter, I went to see the doctor. That wasn’t normal behaviour, was it? Not that I’ve ever been a fan of normal, but parkas, pajamas and parking lots is a special kind of weird. The doctor suggested I might be suffering from Seasonal Affective Disorder and told me to take Vitamin D and get more daylight. Considering my lifestyle and short Canadian winter days – I couldn’t remember the last time I had seen the sun. The diagnosis made sense. 2. I’m going to start liking eggs now. The fact those two declarations of a six year old are the ones that remain in my memory 37 years later is no coincidence. I was sad. And my mom was sad. And me eating what I was told to eat made my mom feel better. And that made me feel better. So, according to my little-girl logic, eggs made me feel better. 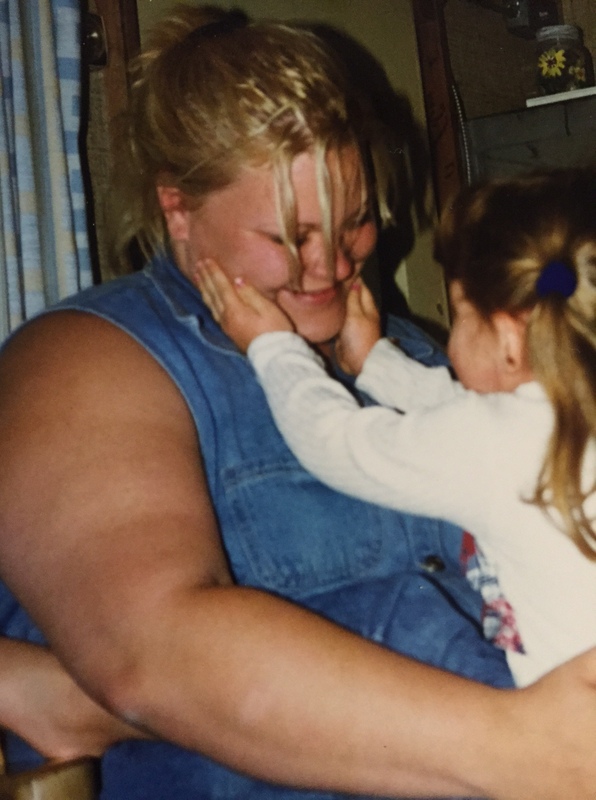 The first time I lied about my weight, I was 8 years old. It was the early ’80s and the next few years were tumultuous. 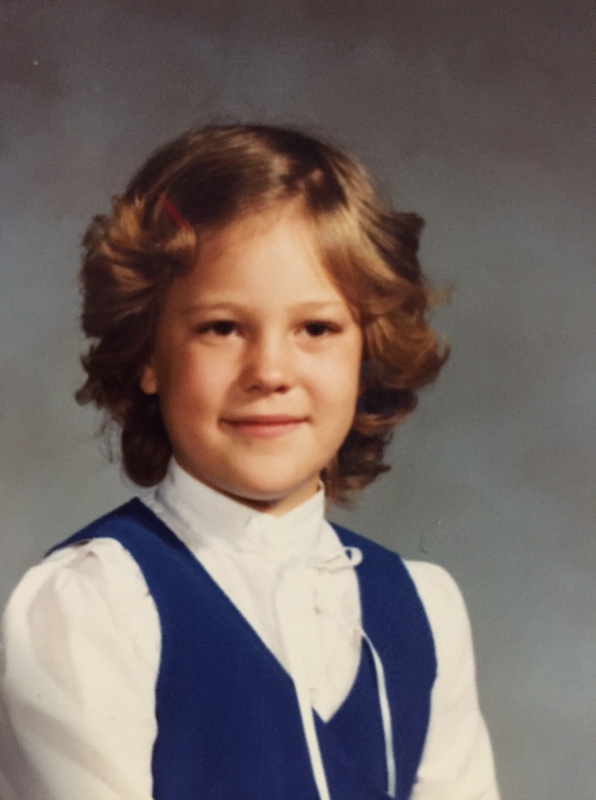 Living with a single parent, baby sitters, back-and-forth to dad’s house, figuring out expectations, step-parents and, of course, leg-warmers. Slowly, I got chubbier as I turned to treats to make me feel less stress, less responsible, less vulnerable. 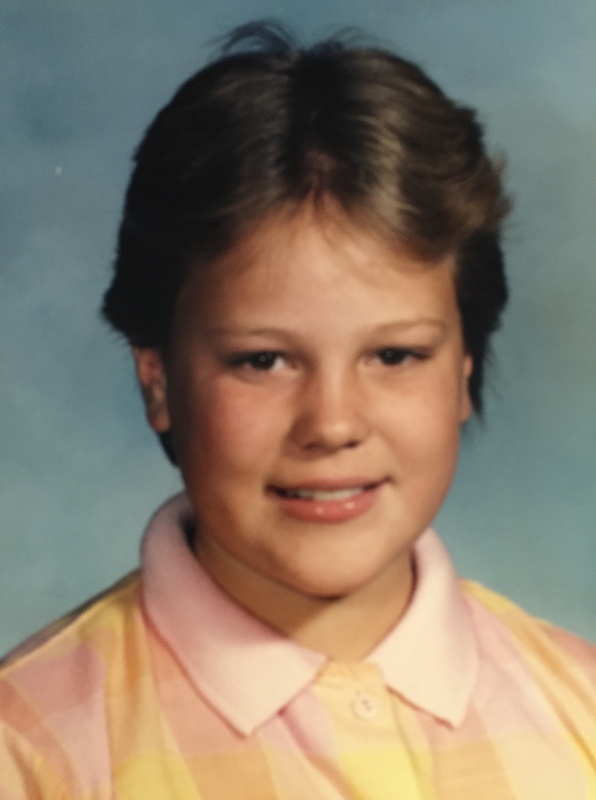 Interestingly enough, when I look back at pictures of myself when my parents were expressing concern about my weight, I wasn’t that big – especially by today’s standards. But my parents were concerned and started putting me on diets – so I saw myself as a fat girl, even though I was plump at best. And that made me sad too. I remember choking down canned chicken at 10 years old because that’s what the Weight Watchers diet I was on told me to do. My weight fluctuated with my emotions. When I had lots of friends and lots to do, I maintained a relatively normal weight. When I went to a new school and couldn’t make fast friends, I gained. For the most part, I had friends, had lots to do, played sports and was a relatively happy teenager. Boys weren’t banging my door down, but that may have had more to do with my attitude and outlook than my actual appearance. Well, there was certainly one thing that was plus-sized about me at 18. My first year of University, I gained the freshman 50 as opposed to the 15 most people gain. Each pound made me more self-conscious, more withdrawn and more depressed. The pressure of post-secondary weighed on me – literally. Until, one day, I quit, moved into a house with three gay guys and mysteriously lost 80 lbs living a life I loved. Of course, I couldn’t be a post-secondary drop-out forever and come March of my “year of freedom,” my dad came knocking on my door with post-secondary course calendars asking me to choose where I was going to go next year. And thank goodness he did, or I might be a 41-year-old fag-hag** bar star who the young ‘uns call granny behind her back. And school stressed me out and stress made me gain – about 100 lbs in two years. And that made me sad. The stress, responsibility and pressure of post-secondary education packed on the pounds. After that initial dose of Prozac, I eventually graduated from Seasonal Affective Disorder to full-blown depression. The doctors experimented with various drugs until we found Wellbutrin which I took for 15 years with varying levels of efficacy. Through weight gains and losses, at best it took the edge off, at worst I was bawling my eyes out on the couch in the middle of the night stuffing my face with chips. As I’d lose, my mood would improve – exercise, confidence, getting outside, eating right and drinking water all contributed to an improved moods. And then something would change (still trying to figure out what) and the depression/weight-gain cycle would start again. In many ways, I’ve been fortunate: I’ve never had a serious urge to end my life. Many times I fantasized about getting beat up. I thought that if I was physically destroyed, I could start again somehow. I had compulsive thoughts of taking a knife to my belly and cutting away the fat. But I’ve always been able to keep a job, support myself and be independent – and for this, I’m truly grateful. This past winter was one of my worst. Finally, I thought to myself: “I’m miserable AND medicated. Why not try it without the meds?” So I started lowering my dosage and then stopped taking my pills altogether***. My loved ones are watching me closely for signs of returning depression and my doctor knows to keep an eye out. But for the first time in nearly 20 years, I am free of medication. I feel great and ready to take on this challenge, one day at a time. *I want to make it very clear that I don’t blame my parents for my “weight problem.” I know they loved me and did the absolute best they could with the tools and knowledge they had available to them. But I can’t talk about how I ended up here without talking about my childhood – so please know I hold no grudges or resentments against them. They were (and are) good people with good hearts. **Another disclaimer. Please know I use this term as a comedic device with the utmost respect and love for my LGBTQ brothers and sisters. ***In the interest of complete honesty, I didn’t consult my doctor before stopping my meds – but I should have. And he knows now. Camie, this is such an open and honest post. It is amazing the journey you have gone through and great to reflect back on. You are such a strong, smart, talented amazing person. Keep doing what your doing and you will get to where you want. Such an exciting adventure ahead. Love the throw back pictures! My heart and encouragement is with you through your journey. Thanks for sharing some of those memories from the past. And I wish I could have been more aware of your pain back then and less concerned with mine so I could have been more supportative. I know now that you don’t blame anyone for your past trials and tribulations. I felt your pain from time to time, but to be honest I wasn’t quite sure what I could have done about it. I felt helpless. I’ve loved you in the past, I love you now and in the future. Most of all I admire your courage in this huge undertaking for change. Like most parents, I just want you to be happy and healthy. Look for a really good “Chickpea Soup” recipe on facebook. 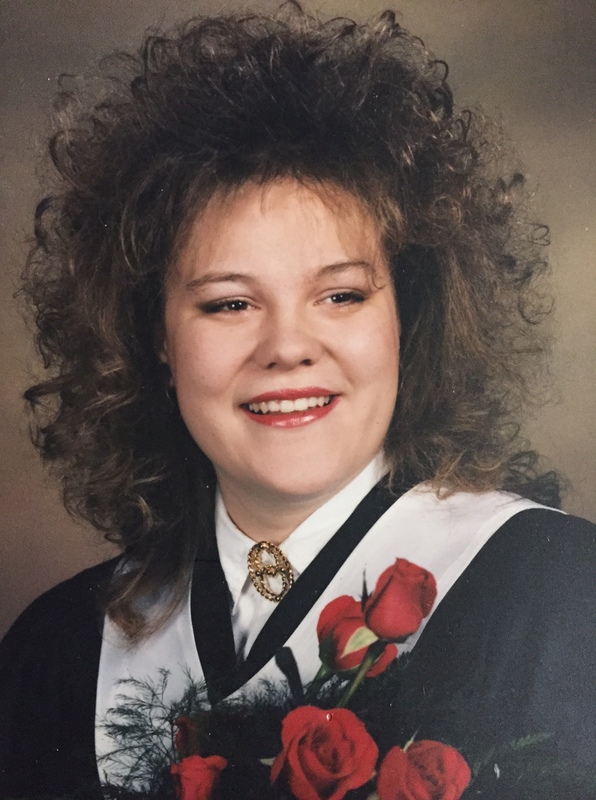 Your grad hair was spectacular. Clearly we both graduated in the “roses sprouting from your lap is a must” era. Thanks for this post – you’ve got me thinking about the less healthy ways I manage stress/sadness. Important work for all of us. And your mom’s note made me cry. Even though I’ve only visited with you a couple times, I feel like I’ve gotten to really know you through this blog. I’ve come to learn that you are a very courageous woman who is determined to meet your goal. Your life stories inspire me to be a better person. I firmly believe that God puts people in our lives for a reason and I am very thankful that He has allowed our paths to cross. I sincerely wish you well with your endeavors and I thank you for allowing me to be a small part of it. You are such a beautiful lady. That was the last time I saw you – the “fruit fly” days. Funny how I never thought of the hair as “plus-sized” but looking at it now … Awesome. Last time you saw me, I was undernourished, failing out of uni, in a bad relationship, smoking packets on packets, etc. – I haven’t smoked in 15 years and keep the depression at bay in large part via exercise. A lot of people who run or swim excessively do it for just this reason. I can’t totally shake the meds but they are at a minimum thanks to the focus on health. What you are doing now is an investment in every aspect of your being. I’m following it like crazy and anticipate nothing but success in whatever form that presents itself. Ps – I posted a great article this week about yoga rebuilding the grey matter that degrades as a result of depression. I’m going to find a way to fit it in there.